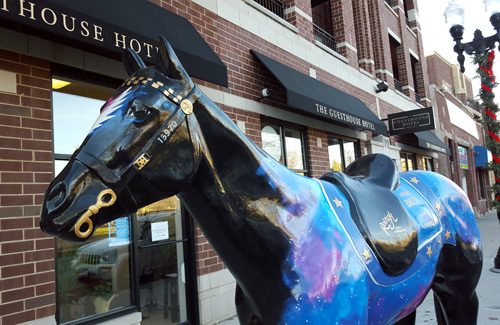 Uptown Update: Meet Bailey, Uptown's "Horse of Honor"
Meet Bailey, Uptown's "Horse of Honor"
Uptown's "Cow on Parade" has been joined by Bailey, our community's "Horse of Honor." He spent the past summer on Michigan Avenue as part of the public art installation honoring fallen police officers. Now he stands on permanent patrol in front of The Guesthouse Hotel, at 4872 North Clark. 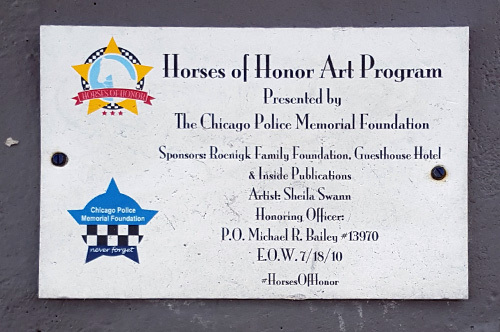 We were approached by the artist, Sheila Swann, about participating in the Horses of Honor program. Sheila is an Uptown resident and neighbor. When we learned more about the program benefiting the Chicago Police Memorial Foundation, we were both moved and excited to participate. Sheila approached our owner, Dave Krug, and he agreed to sponsor a horse. It was Sheila who researched and learned about Officer Michael Bailey and the tragic end of his watch on the CPD. 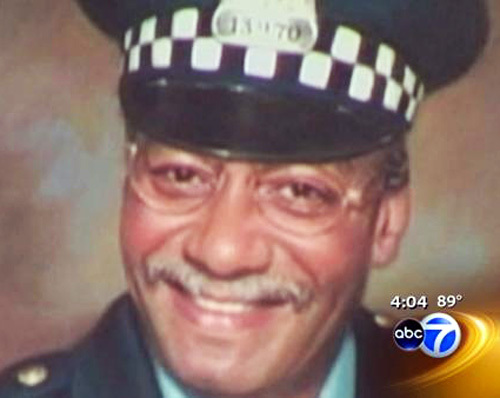 As some readers may remember, Officer Bailey was murdered in front of his home in 2010. He was just weeks away from his planned retirement after serving 20 years with the CPD. His murderer was apparently after his new car, bought as a retirement gift to himself. 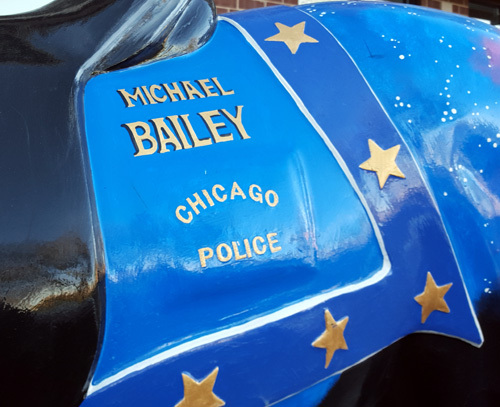 Officer Bailey had served as a firefighter and in the U.S. Air Force before joining the CPD. His daughter is currently a Chicago police officer. A sign on the Horse of Honor encourages people to take their photo with him and post them to The Guesthouse's Instagram account. We thank The Guesthouse, the Roenigk Family Foundation, and Inside Publications for their generosity in sponsoring this art piece and for putting Bailey on display for all to enjoy.